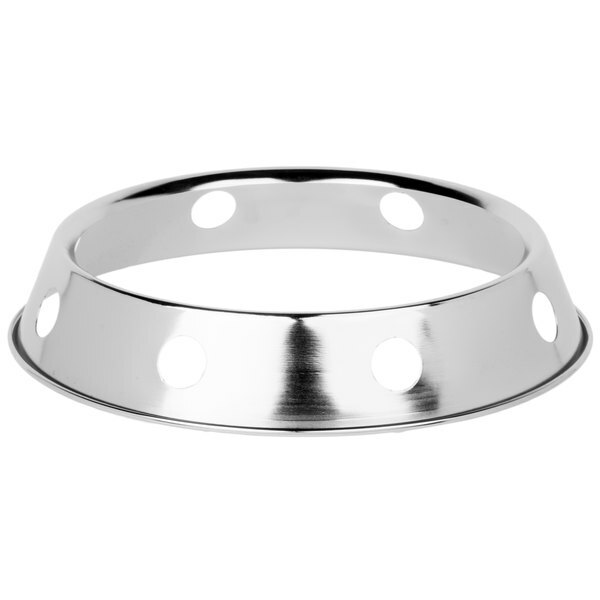 This plated steel wok ring is perfect for converting your standard range into a temporary Chinese wok range! If you'd like to steam vegetables, braise meat, or create an authentic Asian stir-fry, this wok ring is the perfect accessory. The wok will remain stationary, allowing you to masterfully prepare your dish with minimal effort. 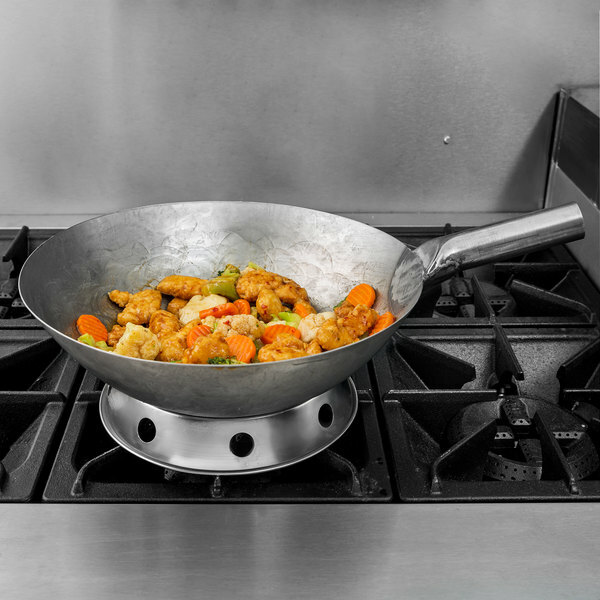 And, when you are done cooking, the wok ring may be used on a counter to keep your wok steady, making it an even more valuable asset in your commercial kitchen. 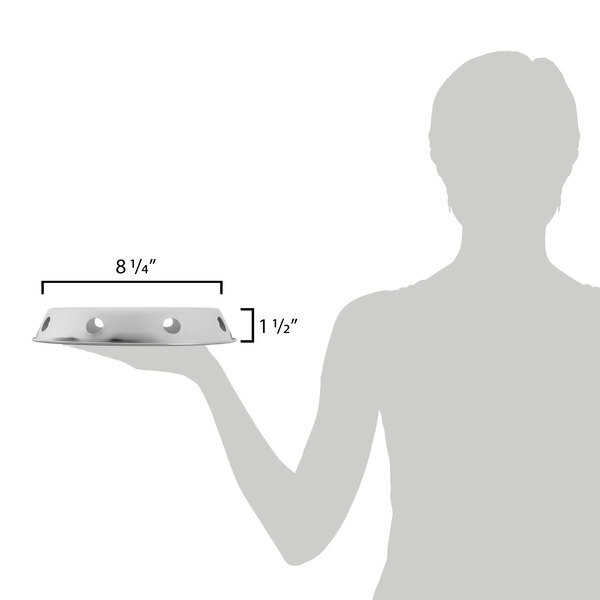 Designed for use with 12" woks (sold separately). This wok ring is strong enough to hold my 14 inch wok. It is easy to wash and is holding up very well. Would buy again. This is a well loved wok! thanks to the wok ring I’m able to use it daily on my gas stove! I can’t wait to figure out what next to make in it! We use these wok rings to put hot woks on and it balances the wok itself. Allows us to set the wok down while we are working. Good for stabilizing the wok on our gas stove, keeps the wok in one place but also allows you to move it freely if you choose to. 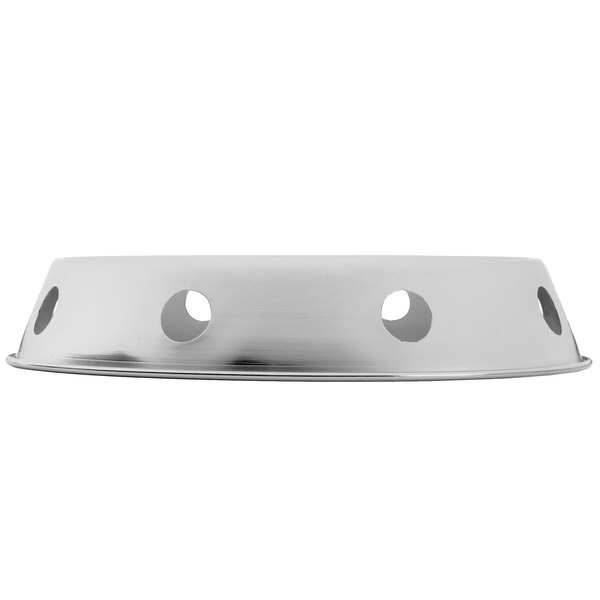 This wok ring is perfect if you are trying to use a wok on a standard gas cooktop. It will hold the pan and keep it from rolling and it helps direct the flame to the bottom of the pan allowing it to get very hot. all in all this is a good product. i found that my stove keeps the wok pretty stable and you need a really big burner to get high enough for the wok ring to be viable, but compared to some of the more expensive versions, this one is a deal. it is pretty thin and stamped though so you could cut yourself pretty easily. Great way of adapting normal stove grates to accommodate a wok. We use the 10" size with a 20" hammered Cantonese wok, which holds the wok some what stationary. 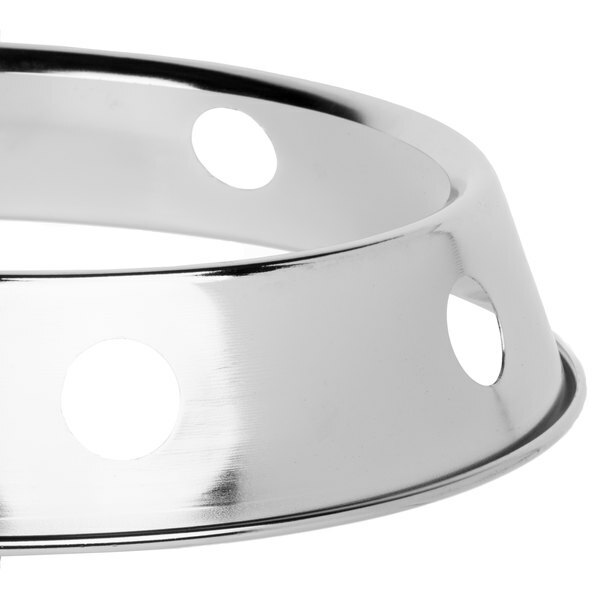 The ring will slide around from time to time, but this design is more universal and movement should be expected when turning food aggressively within the wok. Not much to say about this wok ring except that it works and holds my 14" wok steady and off the countertop. It feels light, but hasn't been dented after 2+ years of use. Great fit for 14" wok. 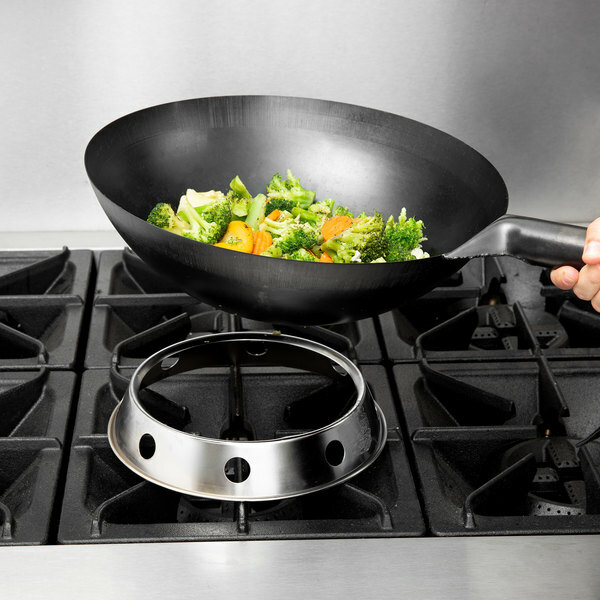 Keeps wok bottom off of countertop surfaces and allows storage of wok on a flat surface without rolling over. One thing to note is that the edges of these are very sharp as the unit was stamped out without any post sanding. I've cut myself several times handling them. Bought this wok ring for my 10 inch mandarin work. The fit is perfect. The construction is good, but the metal is thin so you need to be careful with it for it to last long. For the price, this is a great buy, regardless. Works very well on my stove top gas range. It fits perfectly with Town 14" Wok (also from Webstaurantstore) and focuses the heat/flame just under the wok. Work well for my use and easy to clean after my messy cooking. Awsome match with my 12 inches wok. I use it up side down on a electric range to cook with wok. So for it did not rust. Thank you for your review, Patricia! We are sorry this 8 1/4 inch Plated Steel Wok Ring has not worked well for you. A Customer Solutions Representative will contact you soon! Gets the job done with my 16 inch wok. Not perfect but it works. 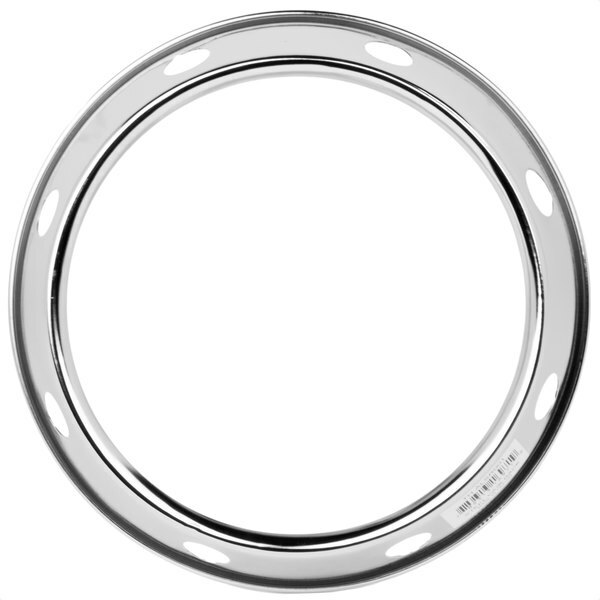 The ring will move around so be prepared to adjust it while cooking. It's also changing colors/browning from the flame but that doesn't seem to be an issue. 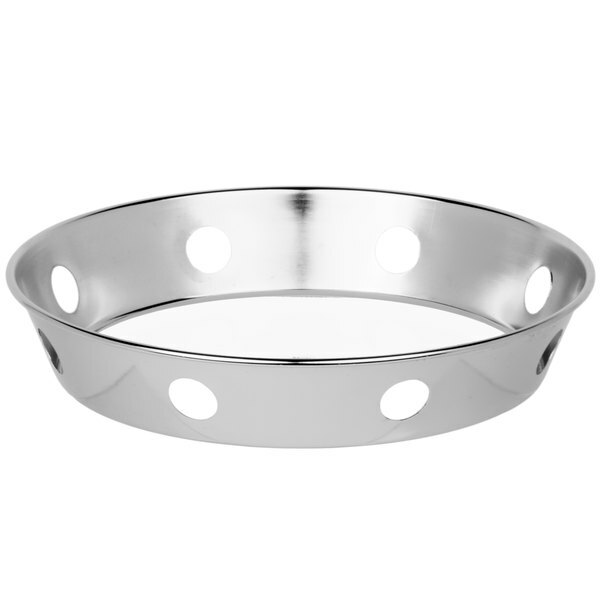 This plated steel Wok ring is exactly what I was looking for to use with my wok so that it doesn't wobble around while I am making a stir fry.